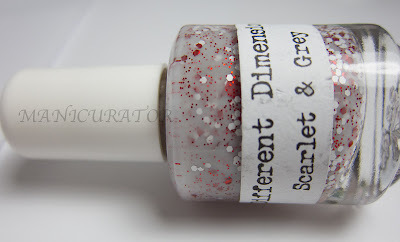 I have 4 polishes from an Indie brand that I had never tried before. Take a look at Different Dimension's Etsy Shop and I dare you to not find something you will like! She has a huge selection! Amphitrite - Beautiful aqua with gold shimmer and gold hexes. 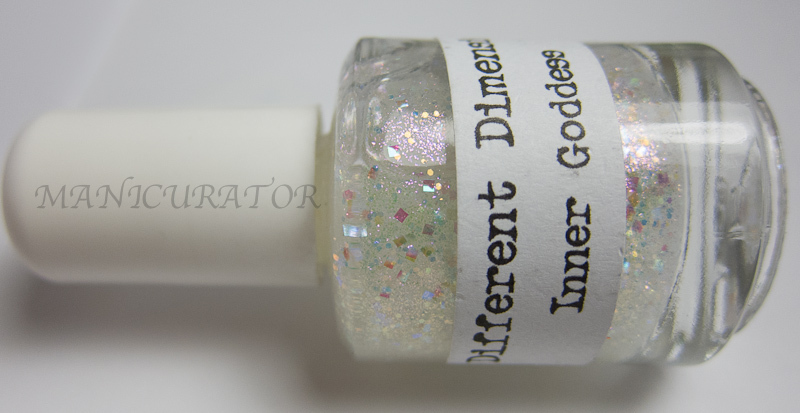 Inner Goddess - Iridescent/pearly base, with lots of iridescent color shifting glitters. Look at that pink shimmer!! Super pretty. 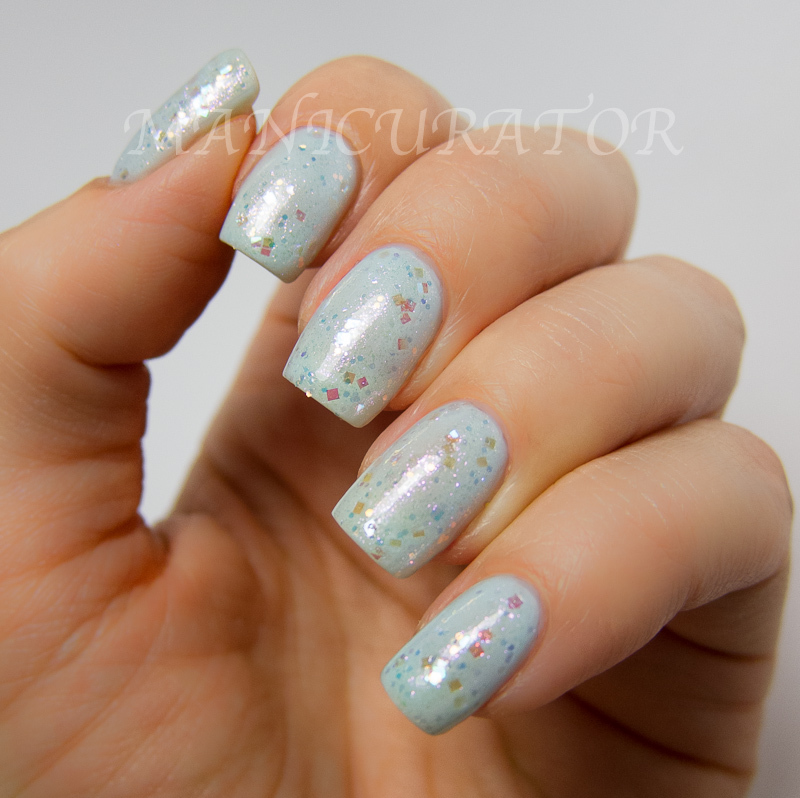 Something about light blue..and pink shimmer. Love. Maize & Blue Nail Polish - Jelly blue base with different sized yellow (maize) hexes in it. This is 2 coats on its own. It was a tiny bit thick..they way jellies can sometimes be, which is why I didn't use a third coat. I'm sure this would look fantastic over a teal/navy/green etc base. 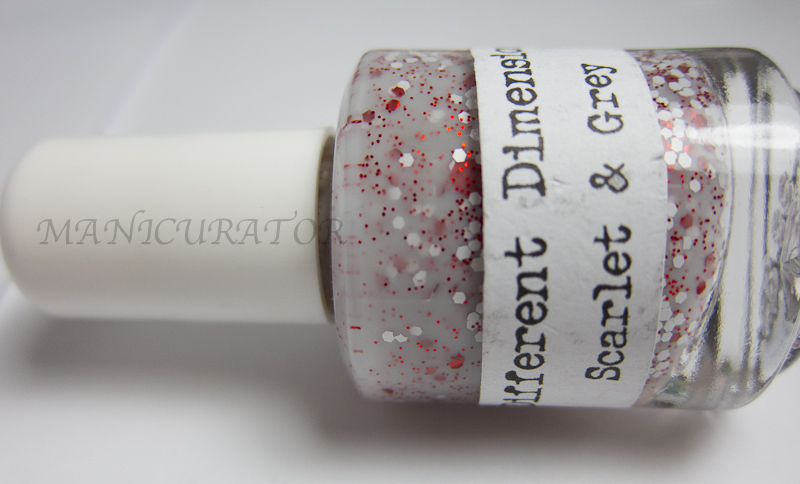 Scarlet & Grey - Creamy grey base with ultrafine red glitter, different sizes of red and white hexes. Showing you 2 coats here. Would look great with 3 or over a white I'm sure. No problems with formula or application. And that's it!! More to temp your wallet with!! Sorryyyyyyy. But not really :P Hope you enjoyed. I love aqua and gold together. Amphitrite is gorgeous! 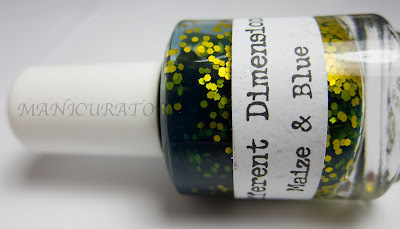 Maize & Blue Nail Polish is very different! It looks great! 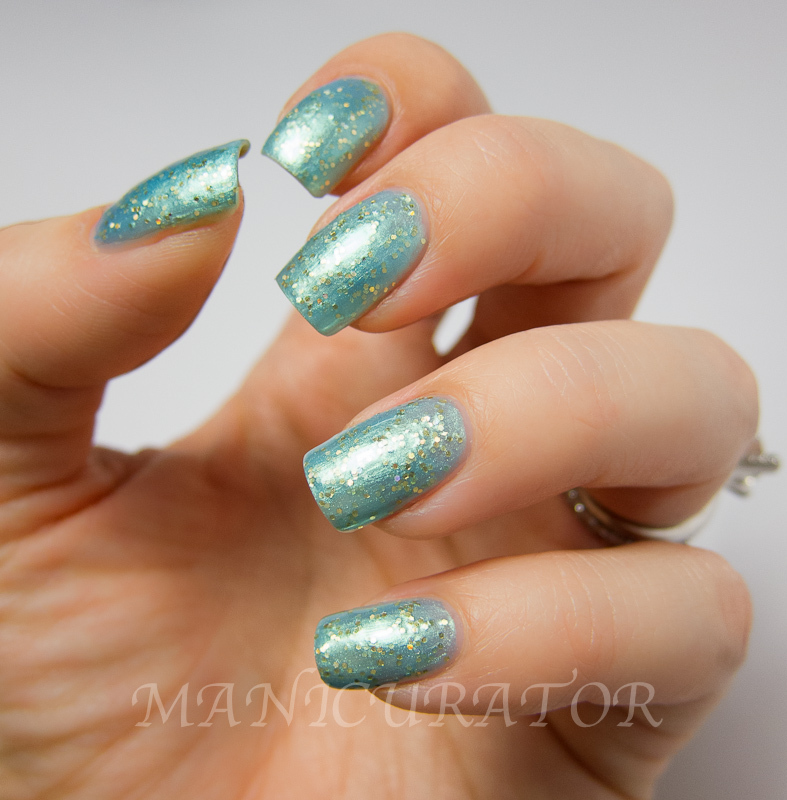 Victoria I think every polish you swatch, it would appear super gorgeous ~!~! It is really so hard to not grab those shades now >.<! My favorite is Amphitrite! I am loving blue/turquoise and gold together! I loved the first one! SO gorgeous! Hi Victoria! 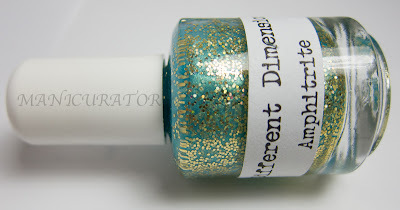 Thanks for the swatches, I like the Amphitrite best. But I haven't "fallen" for any indie polish yet! Do you think I'll resist very long? lol I'm not sure. Also, I don't know how to say this without sounding weird or lame... but I really think you have beautiful hands and nails. I love these swatches! Hoping to win in the giveaway. I know this is random but how did you go from being an "average" nail blogger to having such stunning photos/nails? What kind of camera do you use to get such great quality? !